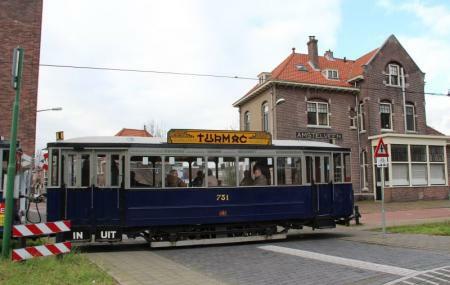 Find hotel near Electric Tram Line Museum ..
Electric Tram Line Museum in Amsterdam is a wonderful museum that offers tourists a look into the local trams of the city. The most exciting part about this museum is that it is on wheels and was established in 1975. The museum had restored old electric trams from the beginning of the 20th century. The tram goes on a separate line from Amsterdam to Amstelveen. The museum today has a huge collection of trams from many cities including Amsterdam, Rotterdam, Vienna, Den Haag, Groningen, Utrecht, Graz and Prague. From Eastern Sunday in April until last Sunday in October the tram museum is open from 11am till 5:30pm. Take a tram from Amsterdam, Haarl'meerstation. Take a bus from Amsterdam, C.Krusemanstraa. How popular is Electric Tram Line Museum In Amsterdam? People normally club together Molen Van Sloten and Ziggo Dome while planning their visit to Electric Tram Line Museum In Amsterdam. Came for the Christmas tram ride and picture with Santa which was very nice for young kids. Great stuff. Magic tram tour around Amsterdam in historic 1920s tram. The area behind the museum is great for monitored exploration with one or two kids. For the adult it'll feel really small and secluded, the kid will experience a secret world of the forgotten kind..